Fjallsárlón is a glacial lagoon, located on the southern end of Vatnajökull glacier. 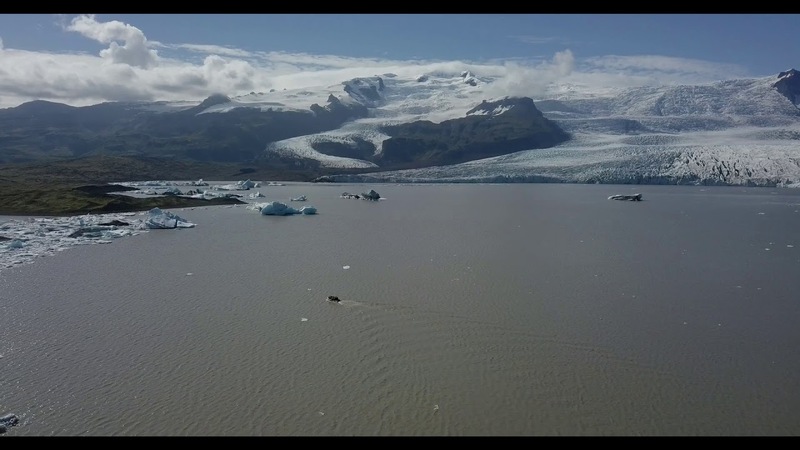 The originating glacier is Fjallsjökull which extends to the lagoon’s surface where large icebergs break away from the ice cap and float out on the lagoon, filling it with hundreds of icebergs. It is less known than its cousin Jökulsárlón but equally as stunning. As the icebergs float around the lagoon, loud groans can often be heard when two or more collide. Fans of the Icelandic band Kaleo, may remember Fjallsárlón from a stunning music video where the band performs their song Save Yourself, live on an iceberg in the lagoon. Fjallsárlón is a glacial lagoon, located on the southern end of Vatnajökull glacier. The originating glacier is Fjallsjökull which extends to the lagoon’s surface where large icebergs break away from the ice cap and float out on the lagoon, filling it with hundreds of icebergs. It is less known than its cousin Jökulsárlón but equally as stunning. As the icebergs float around the lagoon, loud groans can often be heard when two or more collide. Fans of the Icelandic band Kaleo, may remember Fjallsárlón from a stunning music video where the band performs their song Save Yourself, live on an iceberg in the lagoon. If you haven’t seen the video we’re talking about, go take a look right now – it is quite amazing!